Taxonomy is a scientific system that classifies things, especially organisms, into related groups. Complex and precise, classification narrows a thing from its place in a broad category down through ever-more-exacting descriptions. It separates the physical characteristics of, say, squirrels from opossums, and daisies from turnips. Taxonomy isn’t static, it routinely undergoes challenges and upheavals as new technological capabilities, such as DNA analysis, keep taxonomists reclassifying and rearranging species. Not only that, but new species are discovered all the time, adding to a system that’s already enormous in size — currently about 1.8 million species. Shown at the top of this page is the basic hierarchical classification of the Red Fox. What isn’t shown are the many intermediate levels that lead to a description that fits a Red Fox, and only a Red Fox. A complete classification is shown below. Notice the hierarchy begins with the broadest category, Domain, which includes virtually every living thing in the world. At each subsequent level, which is technically called a taxon (plural: taxa), the description is more specific. The final two taxa, genus and species, are this fox’s scientific name. So, only the Red Fox, Vulpes vulpes, meets every single description from top to bottom. There are other foxes, such as the Kit Fox, Vulpes macrotis, and Arctic Fox, Vulpes lagopus, but they don’t fit the Vulpes vulpes description precisely. Their scientific classifications are slightly different from the Red Fox, as well as from each other. 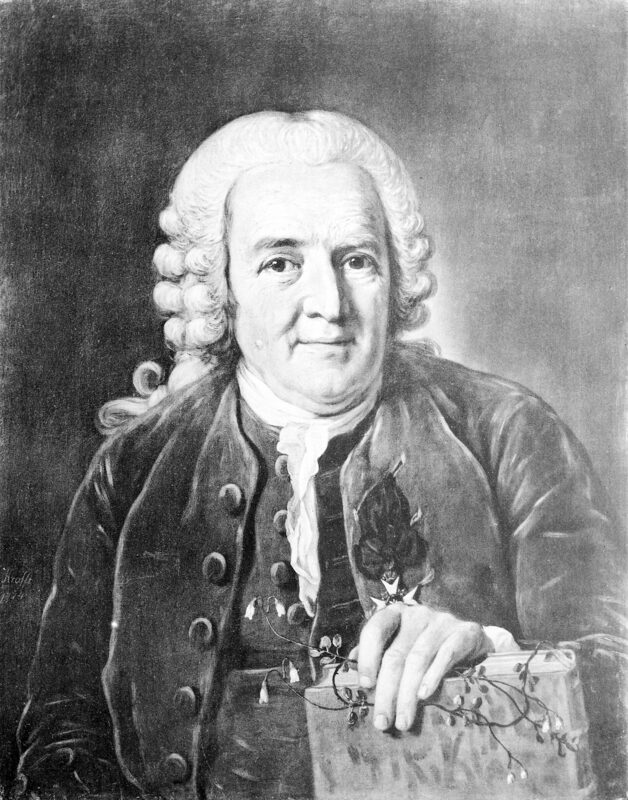 Modern scientific classification was designed by Carl Linnaeus (1707-1778), a Swedish botanist and physician who loved nature. Called the Father of Taxonomy, during his lifetime he named and classified several thousand species. Formal international agreements hold tons of rules for naming species. One of them concerns the “discoverer.” Notice in the scientific classification shown above that Linnaeus’ name follows the scientific name of the Red Fox. This tells us he’s the first person to describe this species, as well as the year he did so. It happens occasionally that two or more individuals, unbeknownst to each other, have given different names to the same species. In that case, only the first describer is recognized. Scientists use “binominal nomenclature” to name each lifeform on our planet. This simply means they use two words for a name — the genus and species, always in that order. Think of it as equivalent to a person’s last name, followed by their first name. Using the example above, there are many foxes with the “last name” of Vulpes, but only one that also has the “first name” of vulpes. A clearer example might be tree squirrels. They all have the “last name” (genus) of Sciurus, but only the Fox Squirrel has the “first name” (species) of niger. There is an exception to the two-name rule, which occurs when referring to a subspecies — then three names are allowed, such as Homo sapiens sapiens. You’ve no doubt noticed that scientific names are always in Latin, hard to decipher, and hard to pronounce unless you speak Latin (even then, scientists differ in pronunciation). This custom serves a purpose, however, as it avoids confusion between speakers of different languages. For example, in Spanish the common name for “Red Fox” is Zorro rojo; in German it’s roter Fuchs; and in Greek it’s κόκκινη αλεπού. But, every scientist in the world knows which animal this is by its Latin name, Vulpes vulpes. Just for fun, here’s another classification, this time using humans, because we can easily relate to the physical descriptions that separate us from other animals at each level. The rules for nomenclature set out through the International Code of Zoological Nomenclature and others are numerous and involve more than we will cover here. But to give you a final example of how rigorous classification can truly be, here’s the taxonomy¹ for the Striped Skunk, complete with all appropriate citations.